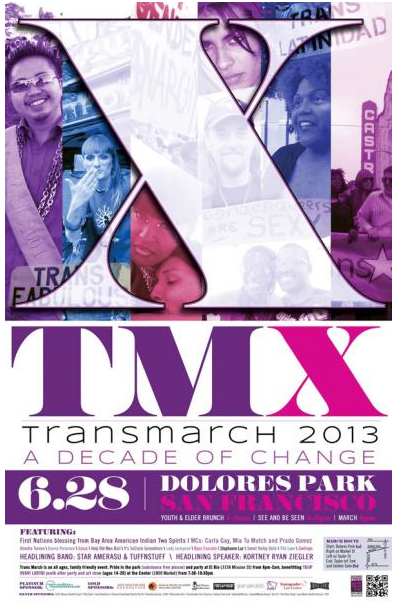 Are you ready for the 10th annual Trans March? You better be because we got a whole lot of big fun, huge celebration and awesome community building waiting just for you!This year’s theme is “TM X 2013: A Decade of Change.” The mission of the San Francisco Trans March is to inspire all trans and gender non-conforming people to realize a world where we are safe, loved, and empowered. We strive to create a space for our diverse communities to unite and achieve the social justice and equality that each of us deserves.